"... I've used half a dozen different fat burners that are stim-free and non really work as well as the stimulant ones. Well, this is the first that has changed that. I use it daily and don't have to worry about the jitters etc. Lost 7 pounds in the last month. I eat well of course and do cardio 5 times a week for 20 minutes." Excellent supplement that has proven to Metabolize Fat Stores! With so many supplements containing stimulants, it can become quite overwhelming on your system. As with anything, your body will also adapt to the usage and dosage and the stim effects will no longer work, so you're force to take more or stop. So it's nice to find an effective fat loss product which actually produces excellent results without the use of stimulants. 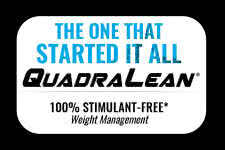 While stims do play a part in fat loss products, it's not required as Quadra Lean has proven for both men and women. The carefully selected ingredients will help control your cravings and boost your metabolism which is key to start the fat burning furnace in your body. 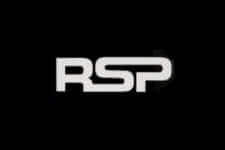 One of the great things about being stim-free product is that you can take it at equal times during the day, even at night time right before you go to sleep. Essentially a blend of Conjugated Linoleic Acid, Green Tea Extract, Chromium and our favorite addition of Grains of Paradise! Start the weight loss today, why delay? Easy to swallow capsules that make it simple to use each day! 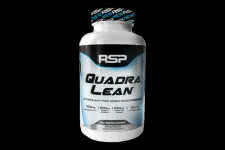 Maintain your lean muscle mass while shedding those unwanted pounds!